One of the most important wine regions in Spain, producing world class, and highly prized wines, this region was only awarded its DO in 1982. It forms part of Castilla y Leon, and is situated in the east of this northern region, not far from the area of Rioja. The location of the area is elevated, and the inland location, together with the protection from 2 neighbouring chains of mountains means an extreme climate, which is perfect for the production of intense, powerful, yet very structured and balanced wines. In summer the weather is extremely hot, whilst the winters are harsh, with spring frosts a frequent risk. The region is bisected by the river Duero, the same river, known as the Douro, which runs through the port region of Portugal. The location of the vineyards are some of the highest in altitude in Spain, reaching up to 850m, which is at the upper limit for vine growing. Ribera del Duero is home to one of the most expensive and exclusive wines in the world, the revered Vega Sicilia, whose small production of wine fetches astronomical levels at wine auctions. Vega Sicilia was set up over a century ago, by pioneer Don Eloy Lecanda Chaves, and has become the hallmark and prince of Ribera del Duero. Even back then, risks were taken, traditions were broken and the owner planted classic Bordeaux grape varieties, alongside the more traditional ones. Today all Ribera del Duero must be made from at least 75% Tinto Fino (the local name for Tempranillo), with Cabernet Sauvignon, Merlot and Malbec the other grapes in the mix. Until the 1970s, Vega Sicilia was the only estate with any quality reputation in Ribera del Duero, since most of the rest of the production was high volume, high alcohol table red. However the promise and potential, so clearly demonstrated by Vega Sicilia was picked up on by Alejandro Fernandez, who recognised the star quality potential in the region, and set up another winery, making a now internationally renowned wine called Pesquera. It was Fernandez who realised that the climate and altitude resulted in wines from the Tinto Fino, which, whilst, intense perfumed and deep, had a freshness, an acidity and a complexity, which would give them longevity and uniqueness. Since then, Ribera has become known as one of the most progressive and forward thinking wine regions in Spain, with many investors and producers realising the unique potential for very high quality wines. 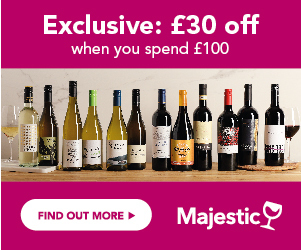 The combination of the fresh, fruit driven, but structured Tinto Fino, and the supreme quality of the classic Bordeaux grapes lead to wines that compete on the world stage – rich, sumptuous and intense, with bold, yet very deep sweet black fruit character and an amazing longevity – some of these wines will go on for up to 20 years. World class, long-lived complex, velvety and structured reds, with a fine backbone, from the Tinto Fino grape, supported by Cabernet Sauvignon, Merlot and a little Malbec.